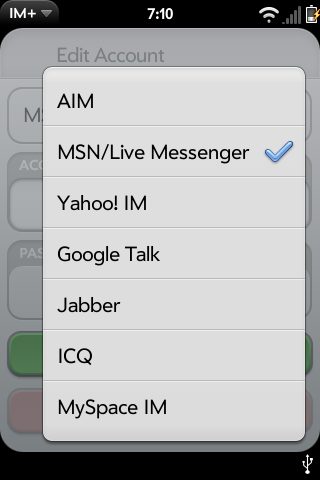 IM+ is an award-winning multiclient messenger for AIM®/iChat, MSN®/Windows Live™ Messenger, Yahoo!®, ICQ®, Jabber®, Google Talk™ and MySpaceIM. 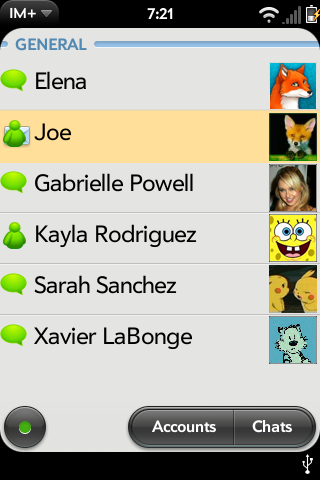 Now available for webOS! With IM+ you easily stay in touch with parents and children, have fun with your friends and make business deals with your partners! All public IM services in one client! No cost per message. View all open dialogs and unread messages in one window.